When you walk in, there is a nice mix of wooden floors with tables and chairs spread out allowing for a good amount of seating. They also have this lovely brick wall with art hanging on that changes every once and a while depending on which artist is featured. They have a TV at the back along with a kitchen counter on the left hand side. 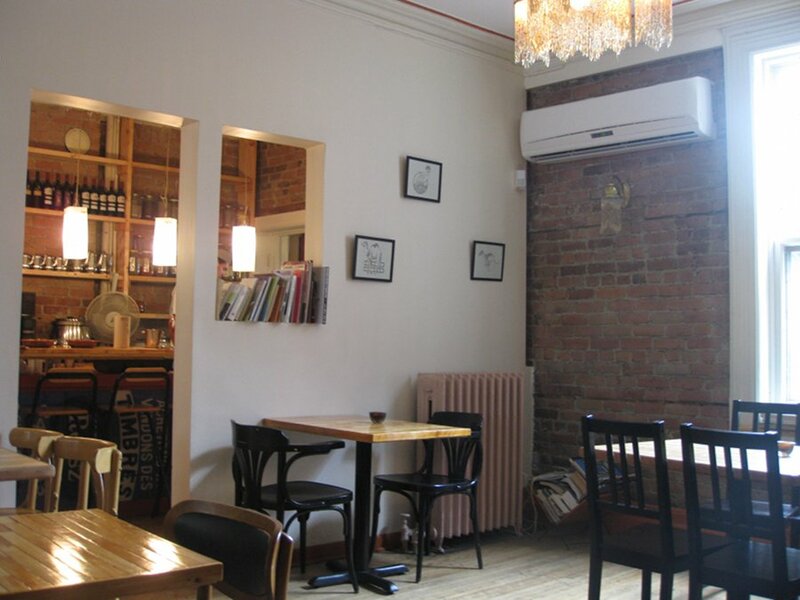 Washrooms are downstairs and are a little hidden so keep your eyes peeled. 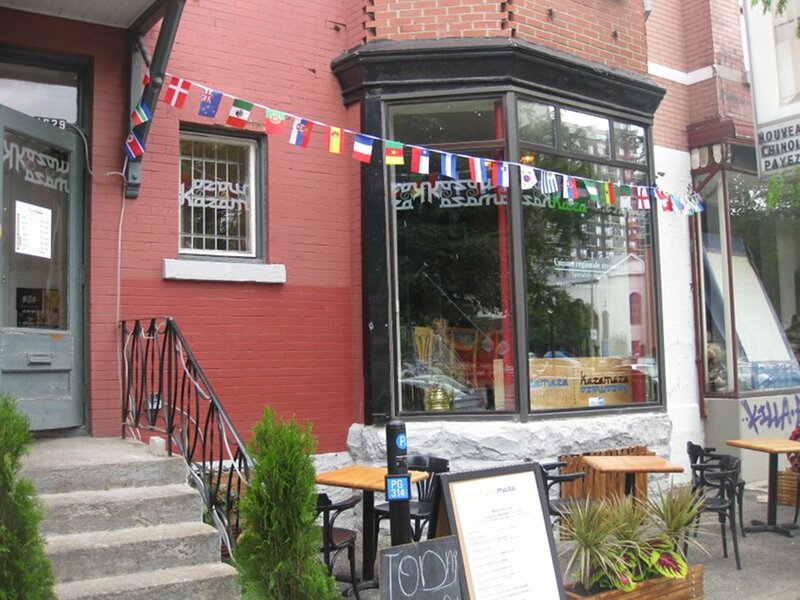 The cuisine is Syrian meaning you will expect lots of Mediterranean/middle eastern dishes. This is not your typical brunch; it’s an experience. 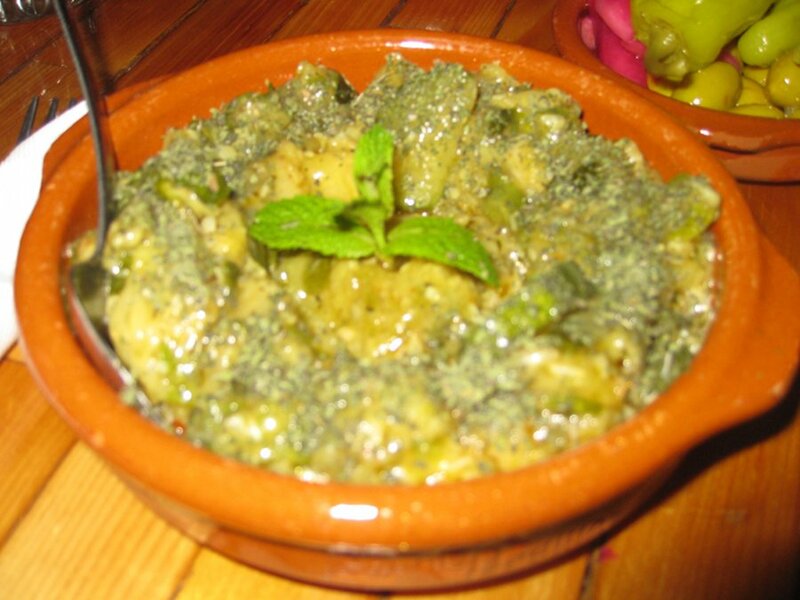 The menu is based on Syrian food and has many traditional dishes. One may not associate Syrian food with waffles and pancakes, but they do have a variety of egg based dishes that are similar to omelettes which is similar to some other ethnic themed brunches I have been to. Most of the dishes are in the $10-$12 price range with one or two items being a little more expensive. 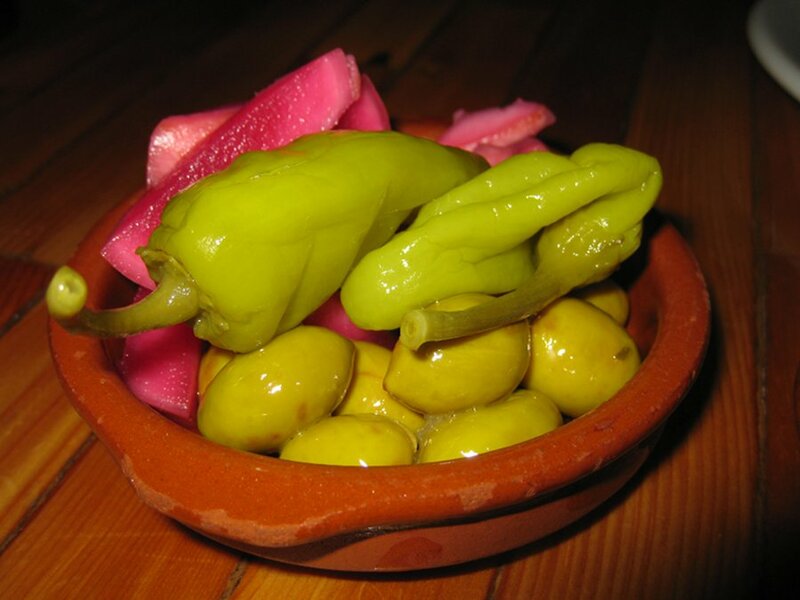 Each plate on the brunch menu comes with pita bread, olives, pickles coffee or juice. The free coffee even covered a latté which was pretty awesome since no one does that. Now, you may be wondering if this menu is more lunch than brunch, and to be honest I had the same question but after asking our waiter for some suggestions and plate descriptions, we narrowed our choice to one main dish each and one entrée per dish. The zucchini dish ($7) was really good and filling. It took a while to discover that it was zucchini since it was accompanied by various delicious spices.Normally, I prefer food to have it’s natural flavour be the pronounced taste but in this case, I was glad that the spices did such a good job since the taste was something I had not experienced before. 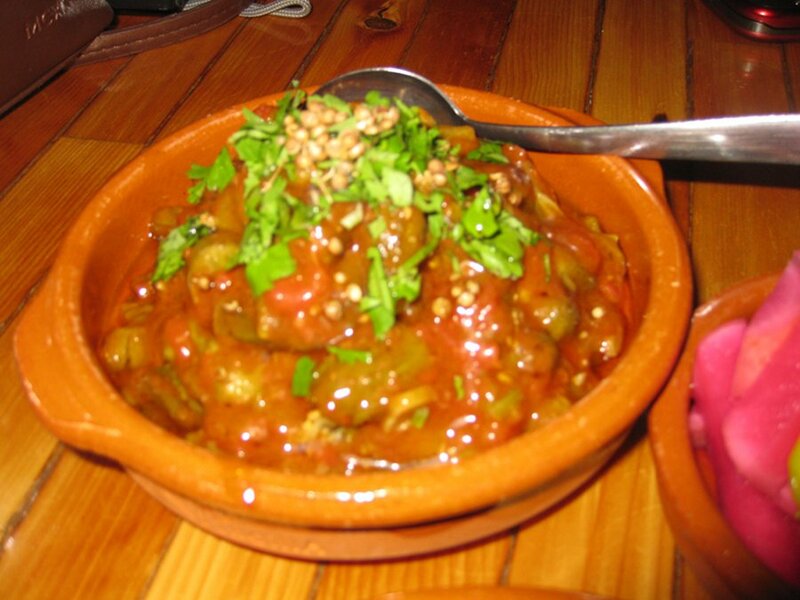 Next, the Okra dish was also tasty and had a nice topping on it. I don’t have Okra often so this is new to me but I enjoyed it nonetheless. 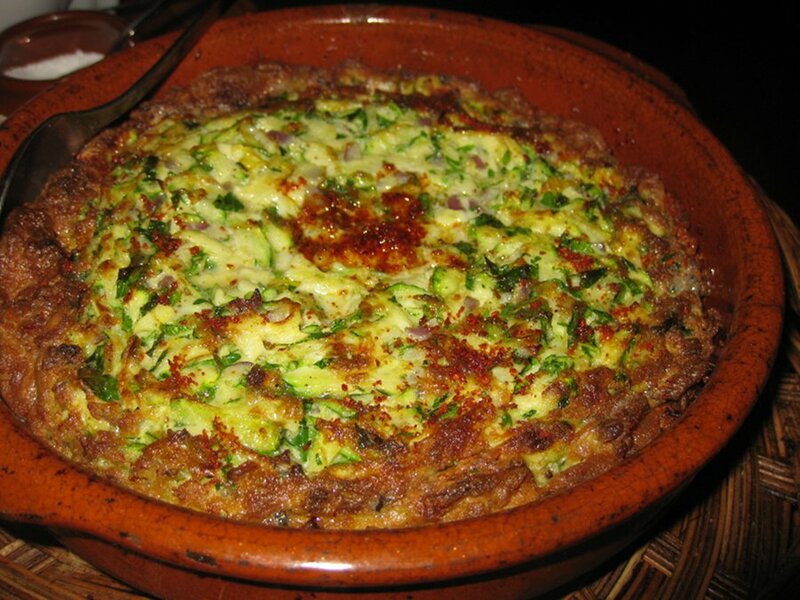 Overall, the zucchini dish was my personal favourite..
For the main dishes, we looked for some that would be as “breakfasty” as possible. We ended up with two dishes that can be best described as deep omelettes. The first was the Syrian sausage eggs and pine nuts ($12) which had pieces of sausage in it as well as this amazing spice that we still cannot figure out. The dish was rather deep, nice and hot. It was very filling and the taste delivered without fail. The traditional omelette had zucchini, parsley and onions, was deep as well as nice and hot but actually lighter than I anticipated which is in contrast to how it looks. This dish really stood out and by the end I was pleasantly full yet not bloated on account of the lightness of the dish. This dish is hard to describe other than it was like a nice summer or spring dish that is simple tasty and not overdone. Our waiter was nice and explained the dishes well especially since it was our first time experiencing Syrian-themed breakfast. The waiter, however, was a touch difficult to flag down and when we wanted water and coffee he was not always there. He was pretty chill though and we were chatting at the end so I kind of almost forgot about waiting for stuff; kind of. There are a fair bit of vegetarian dishes they make up almost half of the menu but subbing a dish that has meat with a vegetarian item may be difficult since it would ruin the dish. My recommendation is to stick to the menu. There may even be some vegan options but not as the primary dishes, likely just the entrées. Kaza Maza is a nice experience: the food is good; the décor is nice and it’s good for groups especially if you want to share dishes. The menu is more lunch than brunch but that is the case with many ethnic brunches. 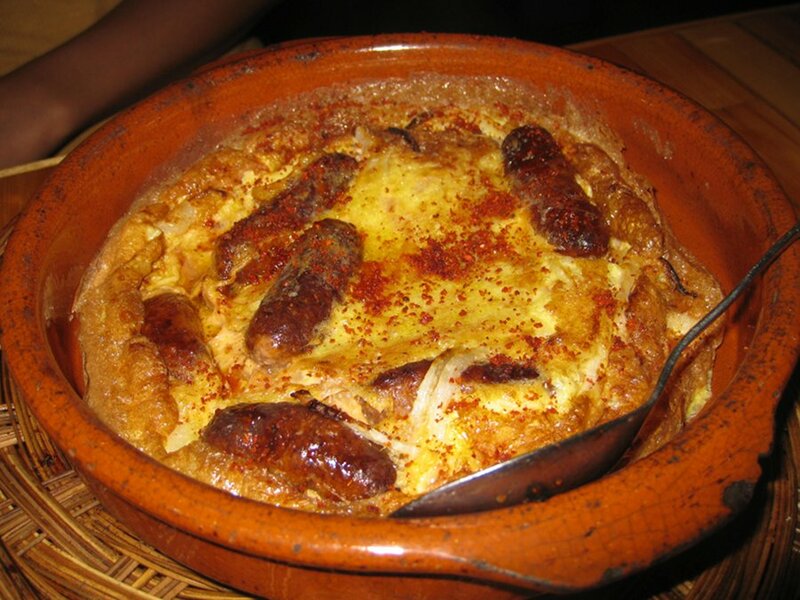 There are omelette dishes which are traditional, ethnic and “breakfasty”.